Gloucester city council in Britain, recently came under fire for launching posters around the city, urging people to stop giving money to the homeless. Displaying a youth in a hoodie and explaining that quite often these so-called "homeless" people are staying in temporary accommodation and claiming benefits. 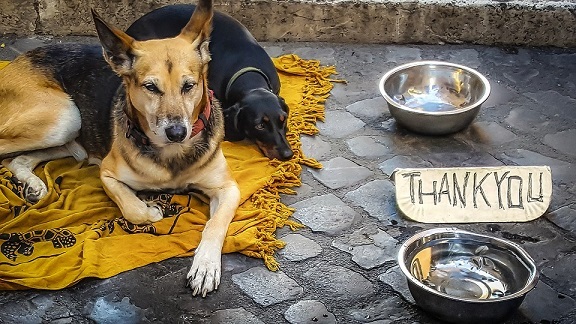 The campaign was intended as a way to encourage kindly passers-by to donate to shelters and charities, instead of directly to the homeless, who may well not be homeless at all. Critics say that these posters imply all street beggars are actually staying in safe accommodation and just want money for drugs. But surely, this can't be the case? Should we really avoid giving change to a homeless man on the streets, out of fear that he may use it for drugs or alcohol? Should donations be given for particular needs? Or does it stop being out business once the donation has been made? Not everyone you walk passed on the street have somewhere to go that night. If they did, a huge percentage of them wouldn't be on the streets at all. You don't know their situation, and it's hugely unfair to assume that everyone on the streets is a drug addict. In 2016 it was estimated that over 4000 people sleep rough, with this number increasing steadily year on year. Occasionally you'll see someone on the streets begging. Someone who makes you feel threatened or uncomfortable and you will know that giving them money would be the wrong move. You'll see more people who have fallen on hard times, who make you feel sad and like you want to help. These people need encouragement and support. They need to be motivated and helped. Seeing posters demonising them, scaring the public and implying that they don't deserve our help could see them turning to drugs or alcohol. Giving them a little change and a friendly hello could be what helps them start to turn their life around. Of course, no one is saying that you should give all of your spare cash to the homeless at the expense of helping charities, shelters and other good causes. Charities like Habitat HM are doing fantastic work to help the less fortunate and should be supported in any way possible. If you can afford to, donate what you can. But, that doesn't mean you can't also give change to someone on the street if you get the urge to help. The harsh truth is, when you donate money to a person on the street, you never know what it's going to be spent on, and you are certainly free to give to charities instead or to buy a homeless person a sandwich instead of giving them cash. But, shelters are struggling. They are full every night, and there are people in desperate need sleeping rough. Charities can't help everyone, and government funding certainly won't do enough. So, if you pass someone on the street who stirs compassion inside of you, by all means, give them some cash.